Fly Angler's OnLine "Bamboo Rods Part 28"
"Fly rods are like women: they won't play if they're maltreated! All rods can catch fish: their success depends on the hand that uses them. But there are rods and rods! Good ones are rare. To know how to select a rod without faults among the innumerable models placed on the market by the manufacturers of two continents is extremely difficult, even for an expert. The fisherman is therefore limited to searching for one he believes will suit him and seems the best to him. Lack of technical knowledge condemns him to uncertainty and often to useless expenditure. The moments of hatch and activity on the part of the fish during a day's fishing are relatively short. Therefore, all loss of time should be avoided and all useless movements reduced to a minimum. The rod must do the maximum amount of fishing. 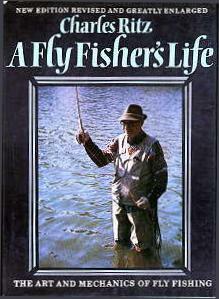 The fisherman must have equal confidence in the rod and in himself. He must not thwart it, but endeavour to be in harmony with it and let its flexibility do the work. He must always be master of his smallest reflexes, be continously capable of observing the most minute details and be able to relax as often as possible. Next time, "How to select a cane rod without allowing yourself to be unduly influenced."